The Oral Fluid Drug Screen Device for AMP/MET/COC/OPI/THC/BZO and their metabolites is a rapid, oral fluid screening test that can be performed without the use of an instrument. The test utilizes monoclonal antibodies to selectively detect elevated levels of specific drugs in human oral fluid. Amphetamine is a sympathomimetic amine with therapeutic indications. The drug is often selfadministered by nasal inhalation or oral ingestion. Depending on the route of administration, amphetamine can be detected in oral fluid as early as 5-10 minutes following use1. Amphetamine can be detected in oral fluids for up to 72 hours after use1. The amphetamine assay contained within the Oral Fluid Drug Screen Device yields a positive result when the amphetamine concentration in oral fluid exceeds 50 ng/mL. Methamphetamine is a potent stimulant chemically related to amphetamine but with greater CNS stimulation properties. The drug is often self-administered by nasal inhalation, smoking or oral ingestion. Depending on the route of administration, methamphetamine can be detected in oral fluid as early as 510 minutes following use1. Methamphetamine can be detected in oral fluids for up to 72 hours after use1. The Methamphetamine assay contained within the Oral Fluid Drug Screen Device yields a positive result when the methamphetamine concentration in oral fluid exceeds 50 ng/mL. Cocaine is a potent central nervous system (CNS) stimulant and a local anesthetic derived from the coca plant (erythroxylum coca). The drug is often self-administered by nasal inhalation, intravenous injection and free-base smoking. Depending on the route of administration, cocaine and metabolites benzoylecgonine and ecgonine methyl ester can be detected in oral fluid as early as 5-10 minutes following use1. Cocaine and benzoylecgonine can be detected in oral fluids for up to 24 hours after use1. 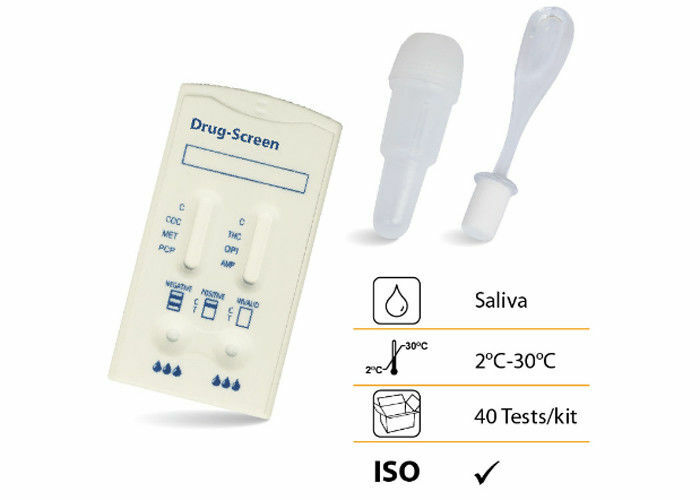 The cocaine assay contained within the Oral Fluid Drug Screen Device for cocaine and opiates yields a positive result when the cocaine metabolite in oral fluid exceeds 20 ng/mL. The drug class opiates refers to any drug that is derived from the opium poppy, including naturally occurring compounds such as morphine and codeine and semi-synthetic drugs such as heroin. Opiates act to control pain by depressing the central nervous system. The drugs demonstrate addictive properties when used for sustained periods of time; symptoms of withdrawal may include sweating, shaking, nausea and irritability. Opiates can be taken orally or by injection routes including intravenous, intramuscular and subcutaneous; illegal users may also take the intravenously or by nasal inhalation. Using an immunoassay cutoff level of 40 ng/mL, codeine can be detected in the oral fluid within 1 hour following a single oral dose and can remain detectable for 7-21 hours after the dose2. Heroin metabolite 6-monoacetylmorphine (6-MAM) is found more prevalently in excreted unmetabolized, and is also the major metabolic product of codeine and heroin. The opiates assay contained within the Oral Fluid Drug Screen Device yields a positive result when the opiates concentration in oral fluid exceeds 40 ng/mL. 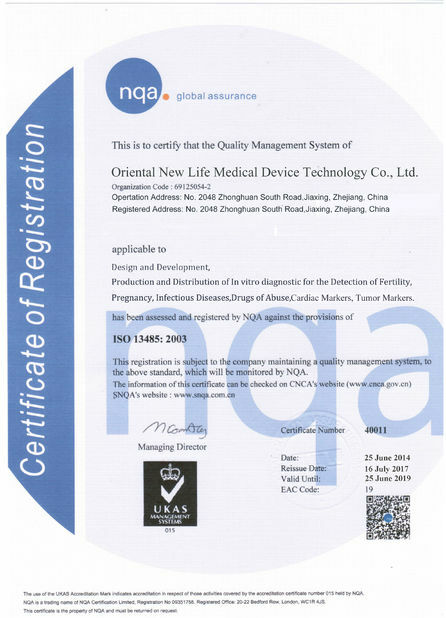 The Oral Drug Screen Device for AMP/MET/COC/OPI/THC/BZO is an immunoassay based on the principle of competitive binding. Drugs that may be present in the oral fluid specimen compete against their respective drug conjugate for binding sites on their specific antibody. NEGATIVE:* Two lines appear. One colored line should be in the control region (C), and another apparent colored line adjacent should be in the test region (Drug/T). This negative result indicates that the drug concentration is below the detectable level. *NOTE: The shade of color in the test line region (Drug/T) will vary, but it should be considered negative whenever there is even a faint line. POSITIVE: One colored line appears in the control region (C). No line appears in the test region (Drug/T). This positive result indicates that the drug concentration is above the detectable level. INVALID: Control line fails to appear. Insufficient specimen volume or incorrect procedural techniques are the most likely reasons for control line failure. Review the procedure and repeat the test using a new test panel. 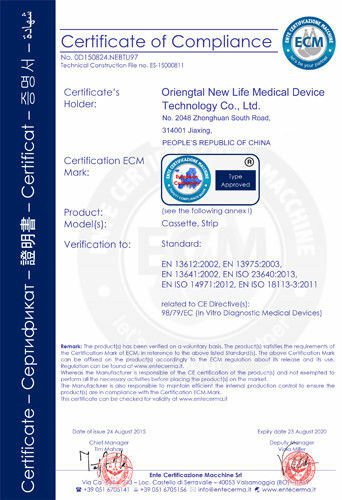 If the problem persists, discontinue using the lot immediately and contact the manufacturer.